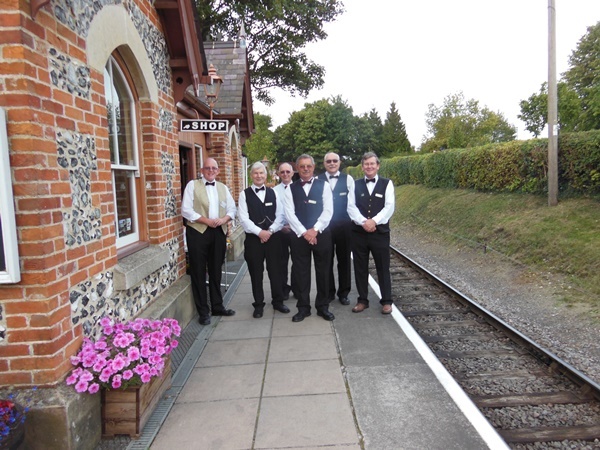 Volunteers are the backbone of the Chinnor & Princes Risborough Railway! Without them there would be no trains running along the line, no comfy seats to sit in and no clean windows to see the steam drift lazily past, there would be no tidy station to wait at and no track to run on. There are NO paid staffs at the Railway and our regular volunteers do everything - from driving the trains to maintaining the station gardens (and not forgetting the many 'unseen' administrative type of jobs that are just as essential). Whether it is one day per month, or several days in a week, our loyal volunteers take it upon themselves to often travel many miles to help out or work ceaselessly behind the scenes, in one way or another! So what's in it for me? As part of a ready-made community you will be working with a group of often like minded and dedicated people who enjoy a common purpose of keeping the trains running, acting as ambassadors for the Railway and enticing our visitors to make repeat visits. It's also great fun and once you get more involved, you'll find there's a real sense of community and you'll belong to something that's truly inspiring. For our younger volunteers it can be a stepping stone to employment and the fact that you are a volunteer, speaks loudly about the sort of ethos that you will carry over into your future workplace. For those not so young any longer... then volunteering keeps your mind active and many tasks will help to keep you keep physically active too! You'll be part of an historical legacy, preserving steam and vintage diesel train travel for future generations to enjoy. To see and hear the delight expressed by our visitors enjoying all your hard work, is a truly rewarding and satisfying experience. 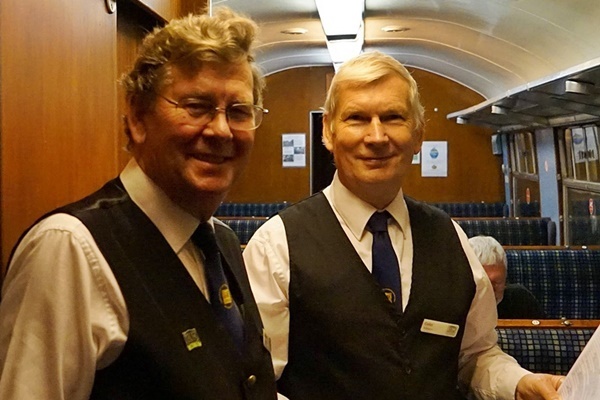 We have a wide range of adult age groups who regularly volunteer and there are a surprising variety of roles which you could make your own, and it is far from being only about engineering and locomotives! Whether you have existing skills or you would like to do something totally different, we also have requirements in education, catering, retail, marketing, building, carpentry, customer services, and even horticulture. Some of our Volunteers rarely get to visit the Railway - but they still help out by promoting our activities from behind their PC screen (and almost anyone can do that). We also welcome Junior Volunteers who are 14 - 17 years, but safeguarding and suitable safe working practices means the activities we can offer and the number of places available are limited (because appropriate Adult Volunteers need to be available to work alongside them). Alternatively, we welcome those who are accompanied by their parent or guardian throughout the time they are acting as a Volunteer at the Railway. Where we can match abilities to appropriate roles we welcome those who are less able - working within safeguarded environments (and appropriate help/supervision) is always paramount to everyone's safety and enjoyment. The C&PRR volunteer workforce keeps us functioning every day and the Railway is a ready-made community waiting to welcome you in! For the range of Volunteer vacancies that are currently available please see here. Through our Volunteers Facebook page you can also get a flavour of just some of the happenings up and down the line. Speak to our volunteers on a day when services are running or contact volunteersupport@chinnorrailway.co.uk to find out more. Before beginning your Volunteer role in earnest you will need to become a member of the C&PRR Association which you can do online here. But of course, if you are not yet a member, then you can discuss what is on offer, before joining up!